Login required. Early registration will end on Friday 4/13/18. Prices will increase $20. If you cannot select this registration type, but believe you should be able to, then contact us. We're excited to welcome back Susan and Guthrie Weinschenk back to the Triangle! This is an updated, full-day version of the workshop from a couple years ago. Recent research in brain and behavioral science provides insights into how people see, pay attention, decide, and what motivates people to take action. This is a fast-paced and interactive workshop and you will have the opportunity to apply what you are learning. 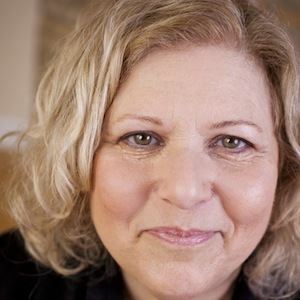 Susan Weinschenk has a Ph.D. in Psychology, and is the Chief Behavioral Scientist and CEO at The Team W, Inc, as well as an Adjunct Professor at the University of Wisconsin, Stevens Point. Susan consults with Fortune 100 companies, start-ups, governments and non-profits, and is the author of several books, including 100 Things Every Designer Needs To Know About People, 100 MORE Things Every Designer Needs To Know About People and How To Get People To Do Stuff. Susan is co-host of the HumanTech podcast, and writes her own blog and a column for Psychology Today online. She has been interviewed for, and her work cited in media publications including The Guardian, Huffington Post, Brain Pickings, and Inc.
Dr. Weinschenk’s area of expertise is brain and behavioral science applied to the design of products, services, experiences, and human interactions. Her clients include Disney, Zappos, the European Union, Discover Financial, and United Health Care. Dr. Weinschenk was a consultant on the Emmy nominated TV show Mind Field, and is a keynote speaker at conferences, including, South by Southwest (Austin Texas), Habit Summit (San Francisco), From Business to Buttons (Stockholm), and USI (Paris). Note: This is NOT the main Red Hat entrance. This is a separate entrance that is next to Oak City Meatball. We will provide additional sign-in details closer to the event.